Thank you for your interest in our company health insurance and employee benefits plans. Tell us a little about your business or organization & we’ll be in touch to review your specific desires and find the right solutions for your insurance needs. Note that the details you provide are confidential and used only to provide the material or information requested. As a Non-profit, it's important to find the right insurance and employee benefits plan. Tell us a little about your business or organization & we’ll be in touch to review your specific desires and find the right solutions for your insurance needs. ATLANTA – February 19, 2016 – Sometimes it is the simplicity of a small change in habit that can result in a healthier lifestyle. 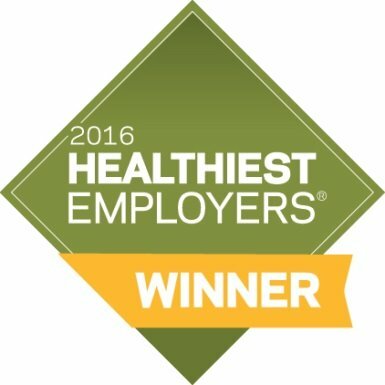 That is what wellness specialist and accounts manager Marla Mohr found when she issued a water-drinking challenge in 2015 to employees of Alpharetta-based BIS Benefits, Inc., winner of the Small Employers category in Atlanta’s Healthiest Employers Awards awarded by the Atlanta Business Chronicle. We encourage all the employees to get up and stretch, drink water, and eat healthy as well as walk around the building at least once a day. The company provides healthy snacks including fresh fruit and water. The company encourages flu shots, dental and vision exams, yearly medical exams, eating healthy and learning more about how to stay healthy. Not only do all these challenges and changes get us healthy, but it is good for morale as we work together to achieve healthy goals. The wellness program has had an impact. “You will hear discussions in our office about how much better our employees feel and we have had less absenteeism and sickness as well.” Mohr said. We make it easy. click below, provide a little info and we will call you back in 24 hours. Reasonable prices and good coverage, along with a fast, courteous response were key factors in evaluating potential benefits and insurance partners. BIS Benefits delivered all of this and more. Their customer service and knowledge of the industry is the absolute best. Insurance, group plans, and employee benefits? We’re here to help! Our team is friendly, knowledgeable — and ready to answer your questions or put together a custom quote for your exact requirements. Contact us today.